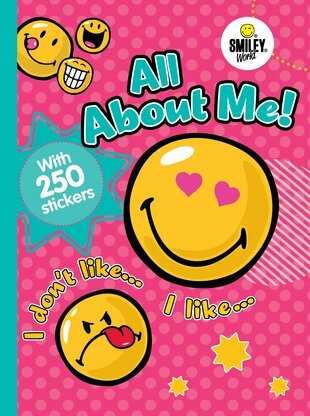 Smiley World: All About Me! What makes you smile? What makes you frown? What makes you say ‘yuck’ and stick your tongue out in disgust? Tell your Smiley journal all about it. List your likes and dislikes in this sticker diary featuring a true emoji icon. Who are your best buddies? What films and celebs are you into? Which sports and school subjects do you love? Smiley wants to hear it all! Plus: you get 250 emoticon stickers to express your moods and brighten up your world. Smile!